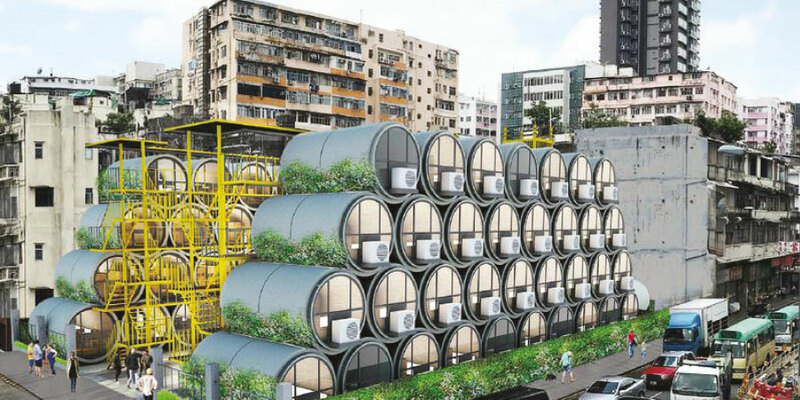 A concrete pipe, normally used for water transport, converted into a small room: the Opod Tube House, the new micro-housing solution presented in Hong Kong by James Law Cybertecture. A small apartment of 9 square meters, about 2 and a half meters long, in which there is everything you need: a folding bed with a sofa, a kitchen area with microwave and fridge and a bathroom on the back. The large circular door, which can be opened with the smartphone, consists of a large window that gives the environment a great brightness.